Owners of food and drink businesses in Bury St Edmunds have been served up free training sessions to improve recipes, stock-taking and profit margin. And for those involved in the retail of alcohol a series of workshops about responsible alcohol sales took place today (January 24). The training has been made available by the Business Improvement District (BID) organisation Ourburystedmunds and hosted at Oakes Barn, co-owned by BID Director Heather Warren. Three food-related workshops are being held on January 31, February 7 and February 21 with the aim of helping businesses minimise food costs and maximise food profits. Places are still available and are free to BID member businesses with a small charge for non-BID eateries, subject to availability. 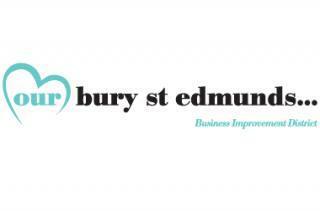 Chief Executive of Ourburystedmunds Mark Cordell said: “Bury St Edmunds is lucky to have such a mix of places to eat and drink. In fact, in our regular surveys of visitors to the town centre, the restaurants and cafes are very highly rated. We know how hard the owners of these businesses work and we aim to help by making training easily available – especially for the independent businesses for whom sourcing workshops such as this might otherwise be time-consuming and expensive. The next training sessions will be run by Karrie Stringer who has over 12 years’ experience of delivering food business development for one of the biggest names in the sector. After attending the workshops it’s intended that businesses can start saving money and improving profits straight away. Each free workshop lasts two hours and places can be booked by contacting the Ourburystedmunds office on 01284 766258.